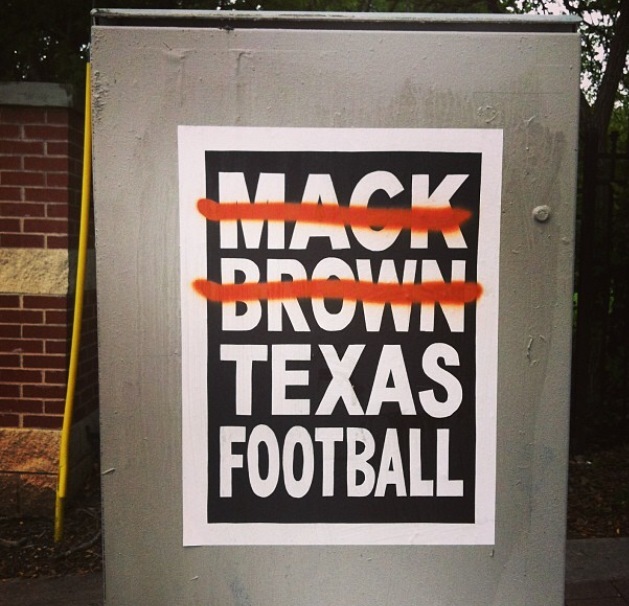 Mack Brown is responsible for bringing the University of Texas Football team back to prominence, leading the Longhorns to three BCS bowl wins, including their first National Championship in 35 years. But after being knocked out of BCS contention with Saturday’s lop-sided loss to Oklahoma State, it seems inevitable that Brown will not be the head coach in Austin next season. Is Nick Saban a good fit for the future of Texas football? Texas is widely considered a top five head coaching position at all levels of football, and for good reason. According to research done at Indiana University-Purdue University Columbus, Texas’ football program is worth $805 million- more than the Forbes calculated value of three NFL teams. Texas is treated as the professional football team in central Texas — something coach Brown constantly points out to his players. UT spends close to $30 million a year on its football program and the coaching staff has first pick of the best players in a state that produces more FBS football players than any other in the country. So why has it been five years since Texas’ last BCS appearance? Brown has proven to be ineffective, even with the seemingly unlimited resources at his disposal. Despite the disappointment felt in Austin this season, the future appears promising. Nick Saban’s agent, Jim Sexton, told a UT Regent that the only job he would leave the University of Alabama for was Texas’ head coaching position, and Saban’s wife Terry was rumored to have been house shopping in the Austin area recently. Saban avoids media attention surrounding his future, so the only person who knows where he will be next season is himself. Saban won’t address the topic for months, leaving us fans deciphering his actions in solitude. But why wouldn’t Saban leave Tuscaloosa for Austin? It's not entirely certain. No matter what Saban does from here on out in Alabama, he’ll always be looked to as the second best to Bear Bryant in their school’s history. Alabama fans have been so spoiled by their successes under Saban that anything short of a National Championship is considered a failure. Also, no man can handle hearing “Sweet Home Alabama” as many times as Saban has during his tenure at Alabama. Saban’s coaching record, prior to his arrival in Alabama, shows that he was always looking for the bigger and more prestigious coaching jobs, as he bounced from Michigan State to Louisiana State and then to Miami Dolphins of the NFL. Texas’ endowment nearly quadruples that of Alabama’s, and the cities in which the schools are located aren’t comparable. Although Saban is currently the highest paid coach in the country, most believe that UT would instantly increase his salary if he decided to join The Lone Star State. Also, the absence of state income tax in Texas should provide an even stronger financial incentive for Saban. Texas has enough talent to make a quick turnaround if they made the correct hire. Saban would instantly turn the talented but mislead Horns into a consistent national title contender. Saban might feel as if he accomplished all he can as a head coach and therefore would avoid the stress of rebuilding a program. But beyond his football career, Saban should be focused on the fact that Austin is simply one of the coolest, most fun and lively cities in the country. If Nick Saban and his family haven’t grown tired of Tuscaloosa, I’m sure they will soon. And what better place for Saban to finish his career than here?